Irregular plural nouns can be so tough! My students tend to need extra practice so I created this freebie and want to share with you! 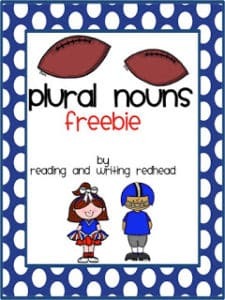 This will get your kiddos practicing making singular nouns that end in y and s into their plural forms. Click here on the image below to download if you think your students would benefit from the extra practice. If you do download it and you can take a moment to leave feedback, I’d appreciate it as always! 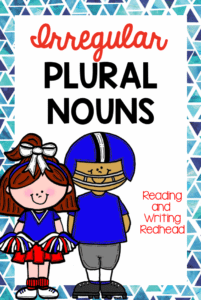 Help your students get practice with irregular plural nouns!